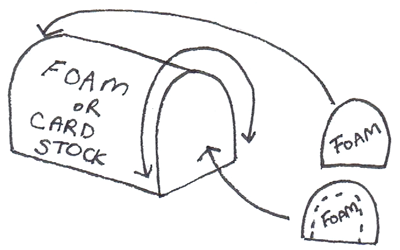 Take a box that is shaped in a similar proportion to the illustration seen above. Then cut along the dotted lines that you see…curved on the shorter ends and then just a straight line along the long ends. This is what your box should look like now. 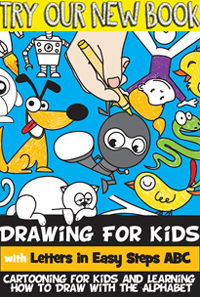 Now cut carefully along the curved dotted line that you see in the illustration. This will be the flap / door … so don’t cut on the bottom, this will be the hinge. 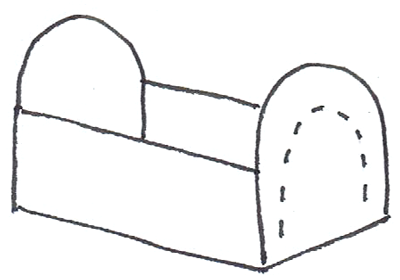 Lightly trace the shorter ends (the curved ends). 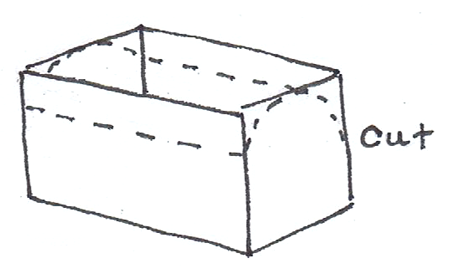 Take foam or card stock and wrap it around the box so that it is now rounded at the top of the box. For the shorter ends…use the traced ends to make these curved pieces…also make the inner cut too. Look at the front door, that is hinged, and opens. 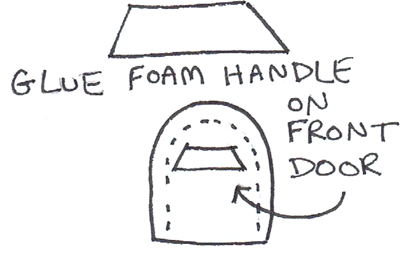 Cut the handle out of the foam and paste it on the front door. 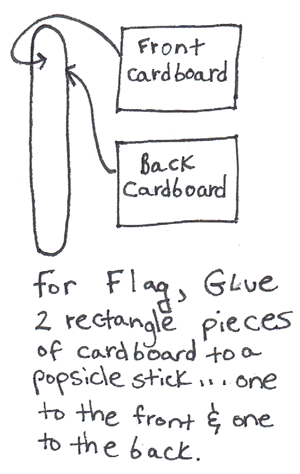 Now lets make the flag. Cut 2 rectangle pieces of cardboard. Take a popsicle stick and glue the rectangle to the front and back of the stick. 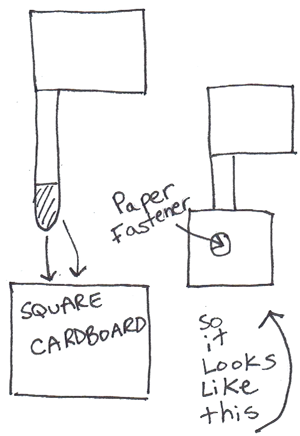 Take a square piece of cardboard and put the paper fastener through the square cardboard piece, the popsicle stick and the side of the mail box. This should go up and down. 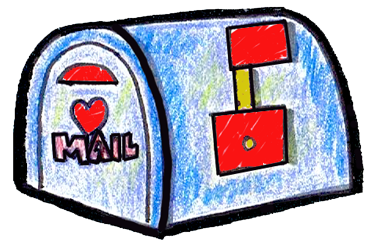 Put it up when there is mail. 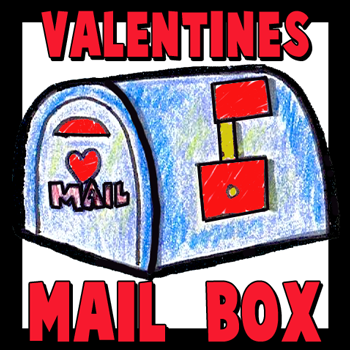 This is what your Valentine’s Day Card Mailbox container and holder should look like now. Happy Valentine’s Day.